"Social media usage has exploded since the initial days of Myspace. By 2009, Facebook had hundreds of millions of users, becoming the top online destination for connected people worldwide. Networks continue to grow, with 1 in 3 people in the world predicted to use social media daily by 2017. The birth of social media was a double-edged sword – revolutionizing both the way the world interacts and the way cybercriminals target organizations. 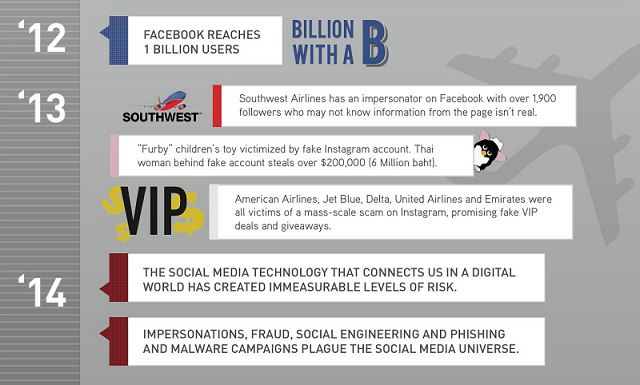 This infographic from zerofox chronicles the voracious rise of social media fraud and how you can fight back."